Location, Location, Location! Bel Air Park is located in a very convenient area of the beautiful City of Macedonia. Bel Air Circle, a lovely eight lot cul-de-sac street, is just north of Route 82 on the west side of Shepard Road. Bel Air Park has one entrance and one cul-de-sac lined with city sidewalks and street lights, making for a peaceful and private community. Macedonia zoning requires a minimum of 100 foot wide lots with 70 foot setbacks off the road and 10 foot minimum side yards. The average lot size is a half acre. All lots are fully improved with city water, sewer, and natural gas. 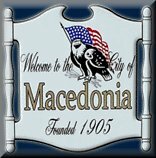 The curbed asphalt streets are maintained by the city of Macedonia's extraordinary service department. The development requires a minimum of 1,800 square foot ranches and a minimum of 2,200 square foot two story homes, making for affordable home options. Since there are only 8 lots in the development, there is no homeowners association and, therefore, no homeowners association fee. The quality schools of the neighborhood are of the Nordonia School District. Bel Air Park is conveniently located just minutes between Interstate 271 and Interstate 480, with quick and easy access to both Akron and Cleveland. Macedonia has all the comforts, conveniences, and necessities required by today's active family. Just minutes away is the full service Macedonia Commons and Golden Link shopping centers, with all your shopping and entertaining needs. Bel Air Park is just across the street from the local YMCA along with Macedonia's Longwood Park and newly designed community recreation center. We have many home plans available to be built in this wonderful community. We can custom design and build virtually any style home you desire. There are no longer any lots remaining in this community.